The South Korean government could request the North to allow nuclear inspectors to attend the dismantlement of its nuclear test site in Punggye-ri, after Tokyo and Washington expressed concerns an audience of journalists may not be enough for the event planned for May 23-25. Sources in Seoul's foreign ministry told local news service Financial News there are plans to raise the issue of nuclear inspectors or experts at the senior-level inter-Korea talks planned for Wednesday. South Korea wants the North to allow South Korean weapons experts as well as officers from the International Atomic Energy Agency into the country, according to the report. 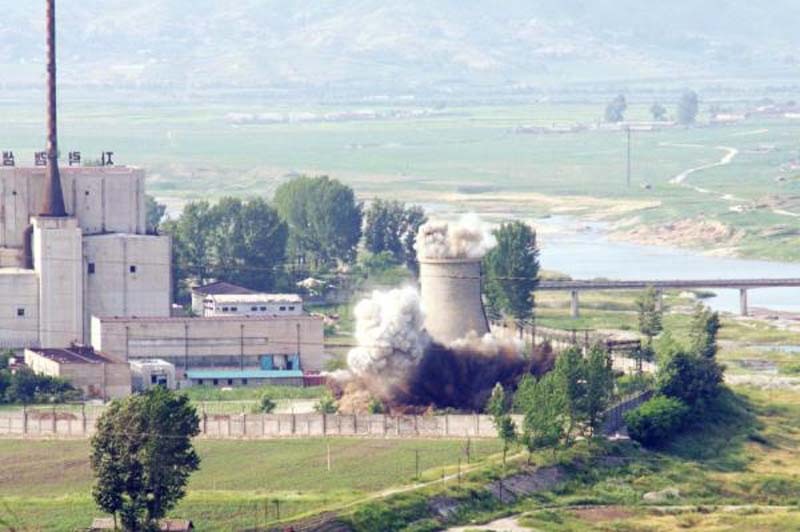 "One of the many tasks for the high-level talks between North and South is to raise the issue of inviting experts to the Punggye-ri nuclear site," a South Korean government official said. "After seeing the results, we will decide whether or not [South Korean] nuclear specialists will need to attend." Jeong Yeon-doo, head of the foreign ministry's North Korean nuclear affairs bureau, recently returned from a trip to IAEA headquarters in Austria, where dismantlement was discussed. North Korea has invited foreign journalists to attend the demolition scheduled for next week, including eight South Korean journalists, SP News reported Tuesday. The journalists will travel to North Korea from Beijing on May 22, where they and other reporters are to fly to Wonsan's Kalma Airport. South Korea's unification ministry said the expenses for the journalists, including transportation, lodging and communication equipment, will be paid for by North Korea. North Korea did not extend invitations to nuclear experts on Saturday, a move that has come under scrutiny from diplomats in the United States and Japan. Katina Adams, a spokeswoman for the State Department's Bureau of East Asian and Pacific Affairs, told Voice of America a "permanent, irreversible and verifiable denuclearization" is what is being sought. Japanese Foreign Minister Taro Kono said Monday during an appearance on local television network BS 11 it would be "meaningless" to show the Punggye-ri dismantlement to a group of journalists. "People who can verify North Korea has truly given up nuclear weapons must go," Kono said.